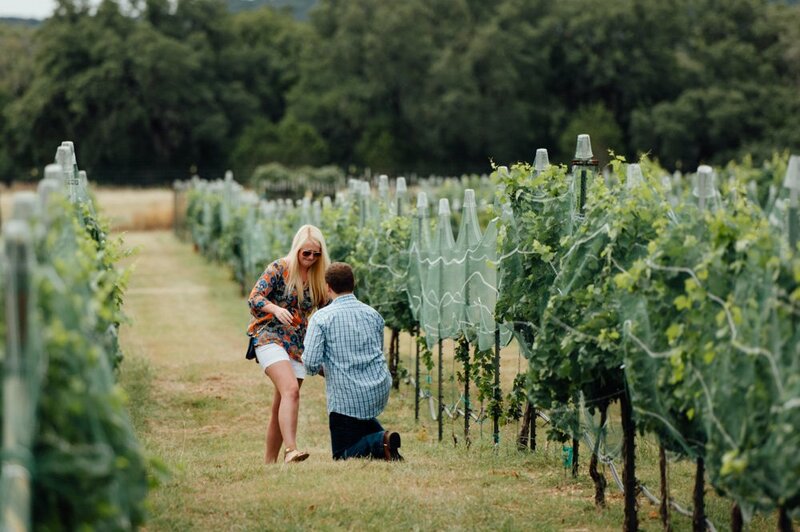 By this point, I’m practically a proposal photographer expert. I’ve fielded many questions from concerned guys, scheduled over a dozen secret hiding spots, and even pretended to be a professional family photographer for some. It’s a real treat to be a part of a surprise and I still get chills every time. With that being said, let’s get started. 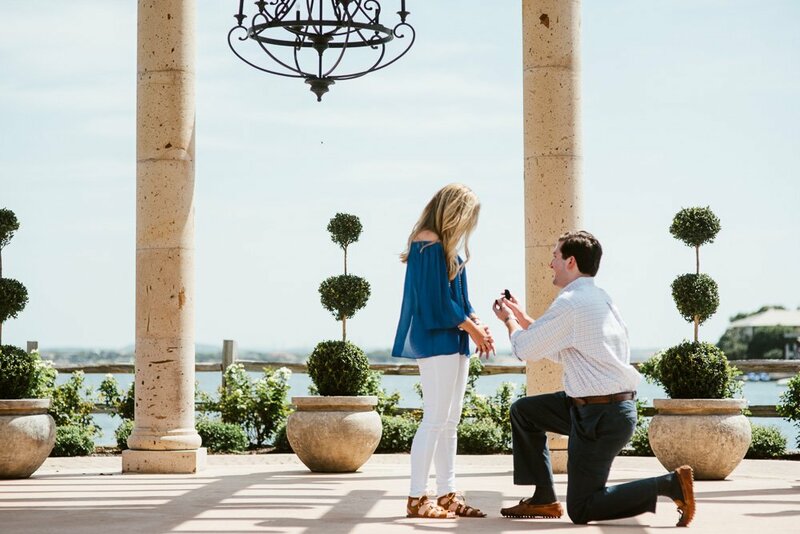 Here are my tips for how to plan the perfect surprise proposal in Austin. Location: Have you ever been set up for a surprise and find it out through context clues? Or led to an event and the gig was up before you got there? 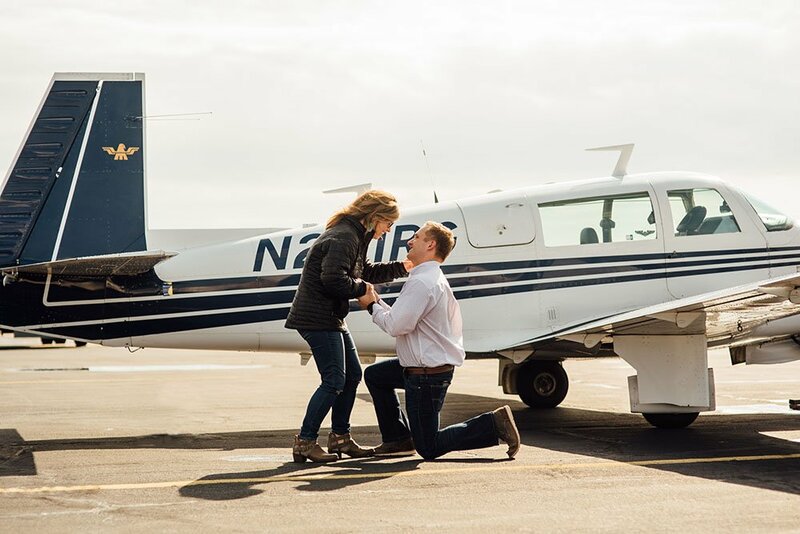 Location is the key to a successful proposal. Choose a location that is easy to make up a story for, one that has a bit of background sentimentality or just something you two would normally do together. Take a scooter or bike ride down South Congress, propose in front of the Welcome to Austin sign, take a walk through the haunted Driskill Hotel or have a romantic and candlelit picnic overlooking downtown at the Long Center. Additionally, offering the story that you booked a shoot with a professional photographer for an anniversary session, or a travel/tourism photo shoot is fun! If I have the chance to get in the right spot ahead of you dropping to one knee the photographs will be 1000x better. Time of Day: I typically like to schedule the session late in the evening, or early in the morning for best weather, light and lack of crowds. For example, shooting pictures at 2pm without any shade results in either super squinty raccoon eyes, or all photos taken with your sunglasses on. Not exactly romantic or the way to remember “That Moment”. This also ties into the “hired a photographer” story I mentioned above. My most HIGHLY RECOMMENDED thing I always try to pre-coach is to prepare a few sentences to say to your partner before you drop to one knee. 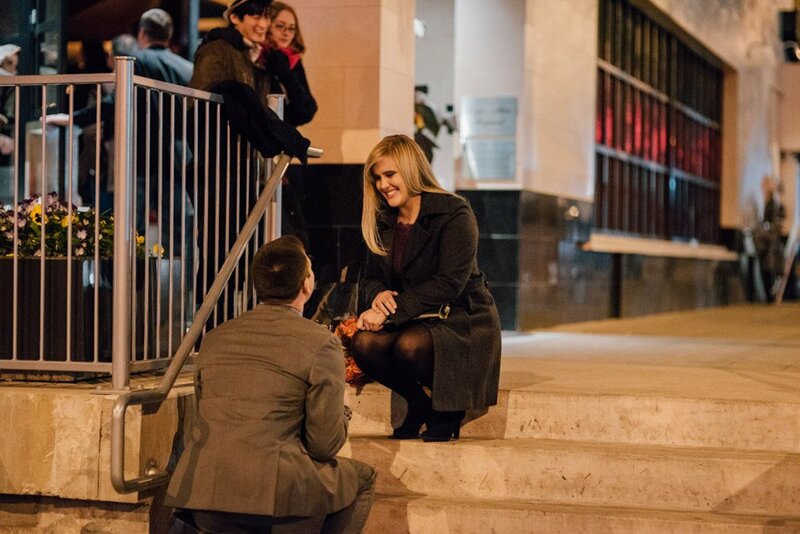 It’s a split second between you on one knee, and hearing “yes! !”while giving you a giant hug, then marveling at the ring and I want to make sure I get The Shot. You both will remember this day forever and the photos will tell a great story. Nature and outdoor areas photograph best during the late afternoon/early evening hours when the sun is just about to set, aka “golden hour.” Make sure you research your public space just in case there is a conflicting event going on! Popular locations like the Long Center during Christmas/Nutcracker season and Mt. Bonnell at sunset will have a lot of foot traffic to contend with. Places I don’t recommend: Auditorium Shores, Red Bud Isle, The Long Center at Christmas or summer (concerts outdoors), Zilker Park during ACL or the Trail of Lights and the Greenbelt during the peak summer (June/July). Below, I’ve listed 14 proposal location ideas (with pictures) that are almost *all* pre-scouted locations for popping the question. If downtown is your scene, try calling a nice restaurant during the week to see if you can get a secluded spot to set up props like flowers, decorations, candles and photos of the two of you. The Long Center is a an expected choice down on the patio area. Great views of downtown and easy to walk to. The Driskill is a beautiful, traditional, classy option and the staff there will go out of their way to help! They will set up flowers and offer tours to make it seem legit. Check out Nico & Palavi‘s indoor proposal. I recommend proposing on the top balcony floor for best privacy, but if it’s Christmas or wintertime you may want to be indoors. Seaholm Project is industrial, urban and super chic. It’s hardly ever crowded, and if you *really* want to make an impression, reserve a romantic dinner for that night at the swanky & new Boiler Nine. The views of the lake and downtown from the outside patio are some of the best in the city. Photos around the old power plant are super unique and unlike any one else’s. Make dinner reservations at Mattie’s and then a stroll around the grounds with the white peacocks. Photos can be done before or after. If you’re having a surprise party, and love craft cocktails, the back room at The Townsend is an intimate classy indoor space. Call ahead to check their schedule. Town Lake Boardwalk at dusk will give you the lake, trees, downtown skyline a clean, man-made spot to drop to your knee and a great bump out for night shots of downtown. Modern, downtown and easy to get to! What more could you want? Laguna Gloria has a beautiful gazebo tucked away down a gravel path way lined with string lights and trees. The grounds are gorgeous and reminiscent of an Italian villa so you really can’t go wrong wherever. Any Austin parks will be a beautiful reason to get out and enjoy nature. All of these are low-key and easily done in casual daywear. Mayfield Park does charge $50 for professional photography but all others are free. Finally, these are just a few of my suggestions! I got asked a lot of location opinion questions and wanted to put all my thoughts together in one post. Got somewhere in mind that has meaning for the two of you? Say, your first kiss? Or a really cool private, personal location? Let’s talk details. 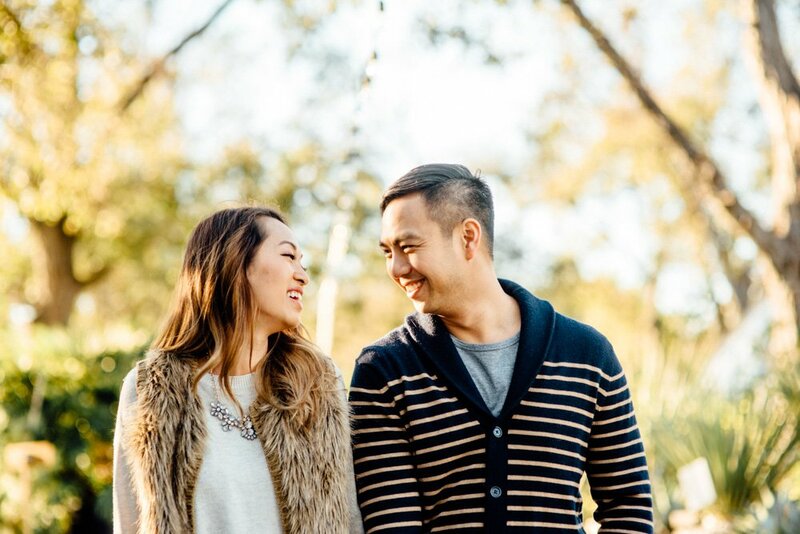 Hiring a professional photographer for your proposal shows your investment in the start of this new chapter of your relationship. Plus, if you decide that I’m pretty cool and good at my job and want to continue with hiring me for the wedding, we’ll already be comfy with each other and your family will already know me! Be like Peter & Mallory and hire me for the destination proposal and South Congress engagements! Bonus points all around. So smash that Contact button down there and tell me what you’re thinking. I’m game for just about anything and I love a good surprise story!